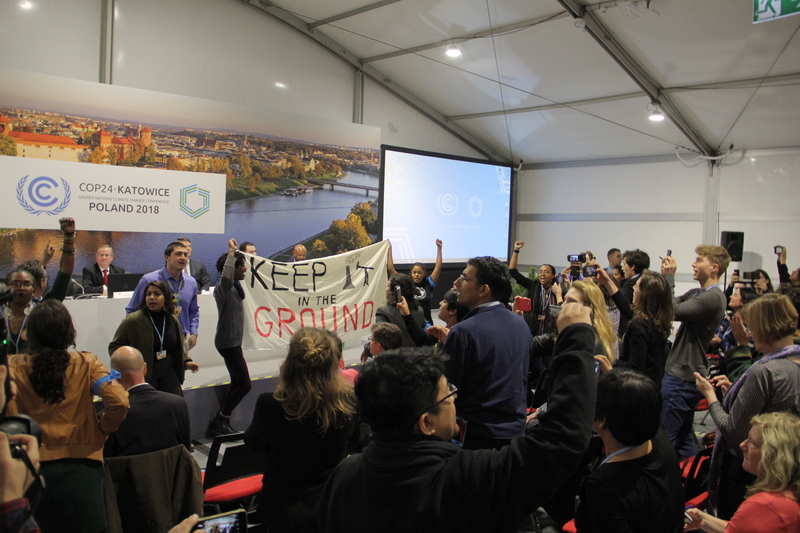 Protesters, for the second year in a row, bring the surreal Trump Administration’s fossil fuel message at the UN climate summit in Poland to a halt with a long, loud, boisterous outburst. In November 2917 in Bonn, Germany at COP23, I managed to get into the Trump Administration’s only public event at the conference. I called it one of the strangest panel discussion in COP history. Trump representatives, heedless of the perils of climate change and its causes, urged the use of more fossil fuels and essentially advertised that the US has plenty to export. This year, as I report here, the administration held only one event again, and once again touted the use of fossil fuels. Both years, protesters interrupted the event, chanting loudly and then marching out, leaving the room half empty (as planned). My story here at COP24 in Katowice, Poland focuses on the outraged responses to Trump’s villainous attitude toward the environment. This entry was posted in Environment and tagged climate action, Climate change, COP24, fossil fuels, Katowice, Poland, United Nations Climate Summit, World Resources Institute on December 13, 2018 by Justin Catanoso. 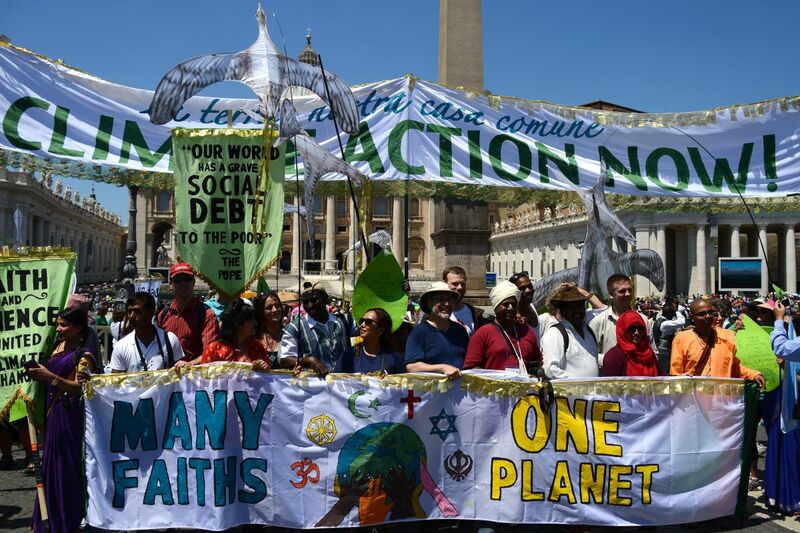 Two years after Pope Francis launched Laudato Si, the Vatican’s plea to save the earth, Trump rejected its tenets and the Paris Agreement. But people of all faiths are unified globally to beat climate change. Here’s my story in Mongabay. Thanks to editor Glenn Scherer for assigning this follow-up to a series of related stories I wrote from Rome, Peru and Paris in 2015-16. This entry was posted in Environment and tagged climate action, Climate change, Fletcher Harper, Gopal Patel, GreenFaith, Laudato Si, Mongabay, Nana Firman, papal encyclical, Pope Francis, President Trump, Robert Mickens, Timothy Van Meter, Vatican on June 14, 2017 by Justin Catanoso.